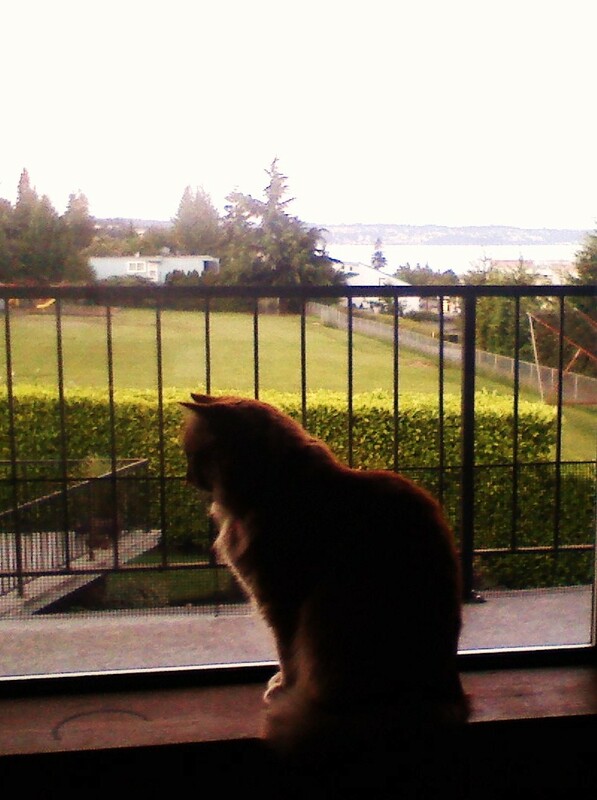 The morning time in our apartment is a very quiet time. The moment my feet hit the floor Aquaman races to the warm spot where my body was resting and snuggles in for a heavier sleep. Eric rolls away from the light in the closet and most mornings I find Gracie in an orange ball in the middle of her love sac (yes, it’s pretty much hers). 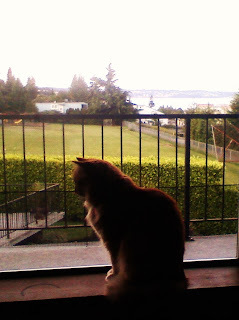 I delight in the mornings where I walk out to the living room to find no orange ball but an orange kitty lounging on the window ledge enjoying the birds flying back and forth outside on our patio. I normally greet her “Good Morning Gracie” and most mornings I get a dirty stare or a yawn accompanied by a roll over. On the mornings of the ledge she chatters right back; and then follows me around continuing to “talk” to me right up until Aquaman and Eric get out of bed to bid me a good day and lock the door behind me. I do mumble and complain about the mean orange kitty a lot, but really I do love her, and her two attempted escapes this weekend had my heart running 100 miles an hour. She is now sporting a very fashionable blue collar with a pink heart on it saying “Gracie” and our Phone number; because, if she gets out at least we have a fleeting chance of someone calling us. But really all it would take is for her tummy to growl, and she’d be on her way back to find her Meow Mix; her stomach controls her like that.